Oklahoma State has fired Lamont Evans for cause after the top assistant to new coach Mike Boynton was ensnared in the federal investigation of basketball recruiting at seven universities. The school announced that Evans was terminated in a one-sentence statement Thursday. 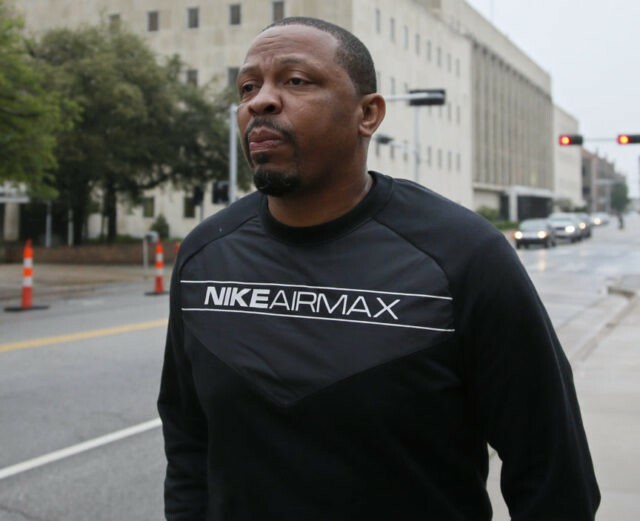 Evans is accused of accepting $2,000 a month in bribes to funnel athletes to certain agents, including “one and done” players that are talented enough to jump to the NBA after one season. Evans had been suspended by the university and surrendered to federal marshals early Wednesday. He appeared before U.S. Magistrate Charles Goodwin later in the day. He did not enter a plea, but is due to appear in court again in New York’s Southern District on Oct. 10. The University of Kansas is conducting an internal review of its storied program after a nationwide federal bribery investigation uncovered rampant fraud and corruption in college basketball. Associated athletic director Jim Marchiony tells The Associated Press that the Adidas-sponsored school has not been contacted by any law enforcement agencies, but it chose to review its program after the Department of Justice filed charges Tuesday against 10 people, including four college basketball coaches. One of the central figures in the probe is James Gatto, the director of global sports marketing for Adidas, who is accused of funneling $100,000 to a prospect to attend Louisville. Marchiony said nobody implicated in the investigation was part of negotiating a 12-year extension with Adidas announced just last week to sponsor Kansas athletics. The new contract, spanning 14 years and providing $191 million, is the fourth-largest shoe and apparel deal in the NCAA. The federal fraud and bribery scandal that has shaken college basketball has left a key lingering question of what will happen to recruits who received money linked to attending certain schools.